Jairon Partner Mission Jr. High School is located in the village of Jairon, Manipur. There village population is about 550. 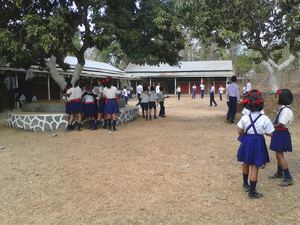 The school is Jairon currently has about 250 students enrolled (students from nearby villages also attend the school). There ere are around 72 Hmar homes in the village. Small scale industries like agriculture and animal husbandry are the source of income in Jarion.